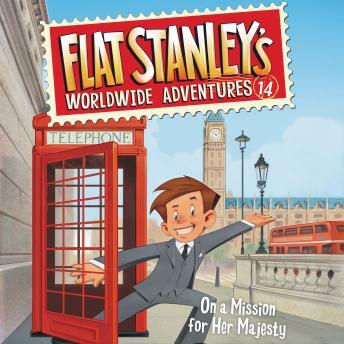 In this exciting fourteenth book in the renowned Flat Stanley's Worldwide Adventures series, the Lambchop family is taking over London, England, on a royal adventure! And for parents and teachers, each Flat Stanley book is aligned to the Common Core State Standards, like multicultural adventure, plot and character development story elements, and compare and contrast. Stanley and his family receive an unexpected phone call from Scotland Yard. Stanley has been invited to London to help with a top-secret case. One of the crown jewels was stolen years ago. The Queen has long suspected Lady Laura, her distant cousin, of the theft, and Lady Laura will be in London to attend a formal ball at Buckingham Palace. If she has the jewel, this will be the perfect time to wear it. And that’s where Stanley comes in.